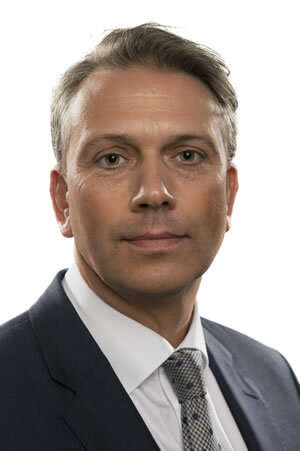 Ian Joined Conçerva in September 2009 and was appointed as a Director in January 2014 and Managing Director in December 2016. As the Managing Director of Conçerva Ian has the enviable task of steering the business through an ever more complex business environment. Ian also holds a key role with the company in building relationships with professional connections with the ultimate aim of building the business. Ian brings a wealth of experience to the team having worked in financial services for more than 28 years in various roles. 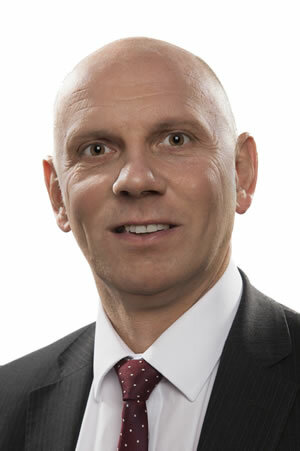 He started with the Prudential in the late 1980’s prior to working for an IFA practice in Stockport. His role with his last employer involved building relationships with Accountants and Solicitors which led him to take the Business Development role with Conçerva. Ian has been married to Amanda since April 1988 and has three children, Harry, Jack and Amy. Ian leads a very active life outside of Conçerva, he can be found in the Lake District, Scotland or Wales most weekends walking up and down the fells. Ian is also keen to raise money for charities and has done several long walks including the Yorkshire Three Peaks 12 times over the last six years (the quickest being 6 hours 47 mins) for different causes. Ian has many interests which include Running, Skiing, Alpine Mountaineering, Cycling, Golf, Holidays in the Alps (or anywhere with mountains!! ), Football, Rugby League (watching only!) but most of all Fell Walking. Ian and his two boys Harry & Jack completed all of the 214 Wainwright Fells in 2012 along with Fudge the Chocolate Labrador. Ian’s biggest challenge to date was to climb Mont Blanc, this feat was achieved on Thursday 27th June and for a second time with Harry & Jack at the ages of 17 & 15 on 27th July 2016. They are now moving on to even bigger mountains! 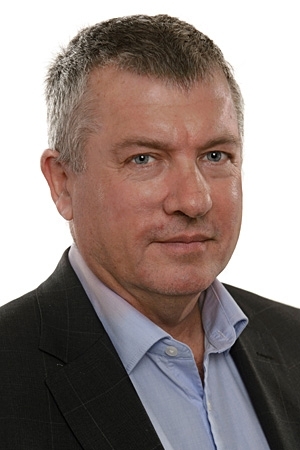 Nigel joined Conçerva as an Independent Financial Adviser in 2001 and was appointed as a director in January 2014. In addition to advising clients in all aspects of financial planning, Nigel also has the role of researching and monitoring the investment companies which Conçerva recommends to its clients. 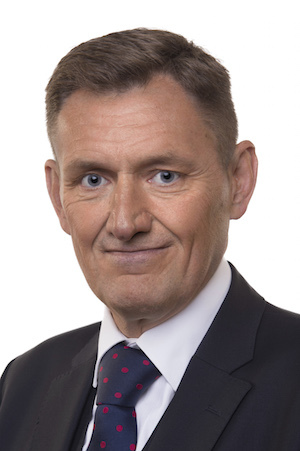 Nigel started his career in financial services in 1986. His first role within the industry came with Scottish Equitable who he joined as a graduate recruit following completion of his Honours Degree in Economics. 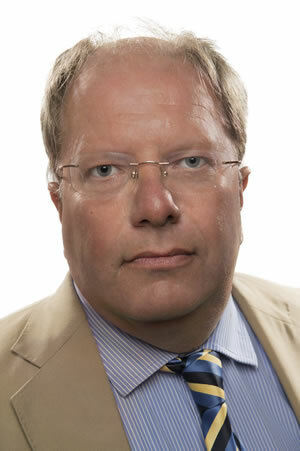 Throughout the 1990’s Nigel worked as a financial adviser with United States accountancy practice Arthur Andersen. Nigel joined Chris Williams at Conçerva soon after the firm was established in 2001. Nigel is married to Kerry and they live in the Stockport area with their three children. Nigel has been a very keen sportsman playing both football and cricket for more years than he cares to remember. In recent years Nigel’s age and dodgy knees have caught up with him which has resulted in these sports now going on the back burner. He now enjoys all sports albeit from a distance and watching rather than participating. He does however still enjoy occasionally hacking his way around the golf course and playing 5-a-side football once a week. 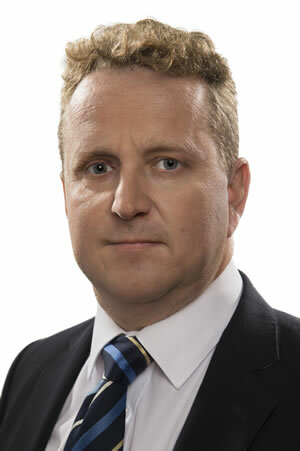 Mark joined Conçerva Ltd in November 2004 and was appointed as a director in April 2007. 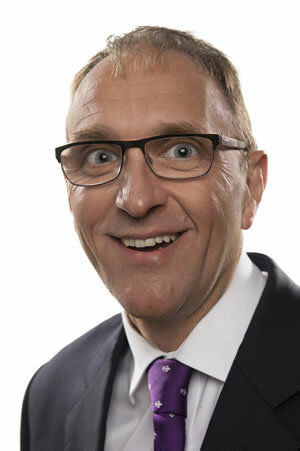 Since graduating with a BA(Hons) Degree in 1987, Mark has worked in the financial services. He is both a Fellow of the Personal Finance Society and a Chartered Financial Planner. Prior to joining Conçerva, Mark worked for Norwich Union (now Aviva) and Scottish Equitable (now Aegon). Mark specialises in holistic financial planning advice incorporating working with clients in relation to their ongoing financial plans, personal tax planning, investment strategies and other other personal planning. Mark is married to Belinda and has three children, Jessica, Ella and Will. The majority of Mark’s time outside of work is spent with his family. He interested in many sports and is an enthusiastic golfer. Mark is also interested in swimming, food, wine and reading. Chris has a breadth and depth of knowledge comparable to the best financial planners. Chris is a chartered accountant, a member of The Society of Trust & Estate Practitioners (STEP), a qualified investment manager and brings a wealth of experience having worked in financial services for more than 20 years in various roles, including one of the big firms of chartered accountants, training and qualifying as a discretionary fund manager with a merchant bank and being the finance director of an AIM listed company. Chris specialises in providing tax and financial planning advice to clients of the business, with a particular emphasis on preserving client’s wealth. Chris has been married to Esther since September 1999 and has two children, Charlotte and Huw. Chris and his family have a rather active life outside of Conçerva, with the children playing hockey and swimming. The family spend a considerable amount of time in North Wales where they enjoy a number of different activities on or around the sea. 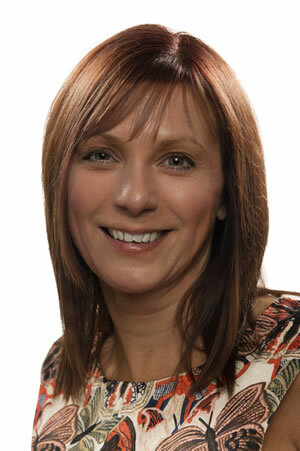 Simmy joined Conçerva in October 2010 and qualified as a Chartered Financial Planner just four years later. He was appointed as a Director in January 2017. Simmy takes pride in providing his clients with a caring and attentive service, with the knowledge and expertise to match. Applying diligence and thoroughness to all areas of financial planning, Simmy is very keen to help his clients wherever he can. As a full member of the Society of Trust & Estate Practitioners (STEP), Simmy specialises in advising on Estate Planning and Inheritance Tax mitigation. 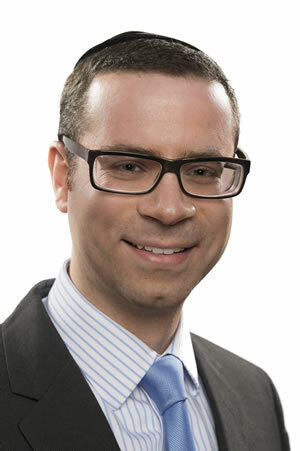 Simmy also advises individuals on the tax implications of emigration, in particular for those looking to retire to Israel. Simmy is married to Naomi and has four children, Yael, Aliza, Tehilla, and Zvi, with whom most of his time is happily spent. Simmy’s other pursuits include playing and watching football, and getting together with friends at the weekend. With over 28 years industry experience Martin is competent with dealing with all types of clients from Board level to individual investors and making what might seem complicated easy to understand. His role at Conçerva is to continue to grow our increasing presence in the professional connections market where we continue to generate the majority of our business and deal with advising both corporate and individual clients. Martin has been married to Sharon since January 1990 and has three children, Dan, Rachael and Max and three dogs, Sid, Archie and Mabel. Martin enjoys playing tennis, swimming and attempting to play golf (which he does very badly!). He is also a football fan and enjoys playing the guitar and is a regular attendee of Charity Balls where he can practice his other pastime of drinking beer and wine! Martyn is the newest member of the Conçerva advisory team having joined in September 2016. 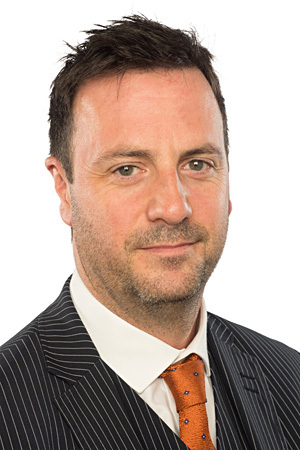 Martyn started his career in financial services in 1993 with Royal & SunAlliance in Liverpool working in the technical pensions department before moving into advisory roles for the past 12 years for firms based in Salford Quays, Oldham and more recently Knutsford. He is qualified to diploma status and heading swiftly to becoming chartered! Martyn’s specialties are technical problem solving for clients’ financial goals with specific expertise in pensions, especially SIPP/SSAS and retirement planning. 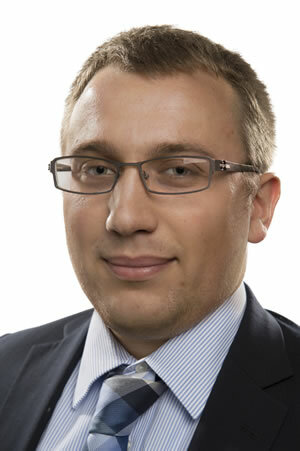 He also has a strong knowledge of investments, tax and protection to enable him to provide quality holistic planning. Martyn lives in Preston and has two daughters, Holly and Abbie. Outside of work he enjoys heading out to the countryside, playing golf and snooker, swimming and reading. He is often roped into carrying out DIY for friends and family so when he can escape for a few minutes he will try and catch a film to top up his movie-geekiness or watch pretty much any type of sport. Brian Durrant works with Conçerva on a consultancy basis to monitor the performance of investments. Brian has 35 years experience as a professional economist. He read economics at Jesus College Cambridge. In the 1980s he was deputy economist to Tim Congdon at L Messel & Co stockbrokers. He then developed expertise in the fledgling derivatives industry and became Head of Research at GNI Ltd which in the early 1990s was Europe’s largest futures and options broker. He also specialised in designing exotic options strategies for the foreign exchange market. Then in 1997 as Tony Blair was moving into no 10, Brian and his wife Jude elected to leave the bright lights of the City of London behind and opt to raise a family in Prestbury Cheshire. He maintained his contact with the markets providing consultancy services for his valued clients and in writing and editing Fleet Street Letter until 2013. He also is an occasional contributor to Money Week. You can see a selection of his more controversial articles by searching Brian Durrant on Google! Brian is a keen tennis player, whose claim to fame is that his partner for a season was once Tim Henman’s doubles partner! But alas the toll of the passing years means that Brian continues to serve and volley only to avoid getting embroiled in exhausting rallies. Maureen joined the team at Conçerva in August 2010 after being made redundant from her previous employer following 16 years of service. She is employed as an administrator, meaning she has the most important responsibility of keeping the Conçerva wheels turning. She has worked in the financial services industry for over 25 years in various roles, latterly providing sales support for a team of five business consultants. Maureen lives in Middleton with her husband Scott and has one son, Kyle and a granddaughter Anna. In her spare time she enjoys Retro Aerobics, Badminton, Cooking, Cycling and Walking and organising her many holidays. Amanda joined the team at Conçerva in September 2014 in the role of Paraplanner. Amanda holds the Diploma in Regulated Financial Planning and is responsible for researching the market, writing reports & keeping advisory staff up-to-date with products, investment funds & legislative matters. 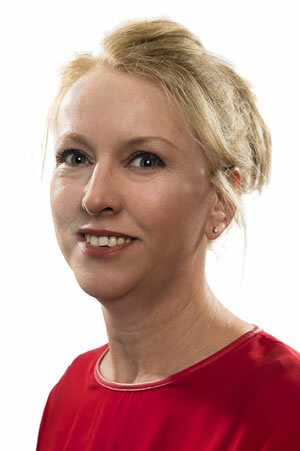 Amanda has worked in the financial services industry for 25 years in various roles, latterly providing sales support to the team of Financial Advisers. Amanda lives with her partner Mark and children Alex and Luca with whom most of her time is spent. 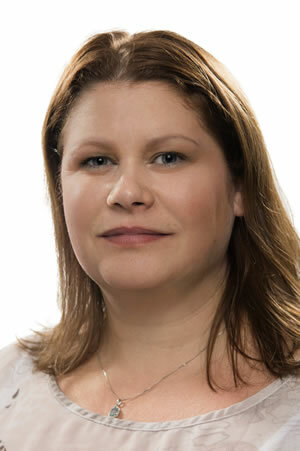 Bernadette joined Conçerva in June 2013 after having worked at Conçerva’s sister company Jack Ross for 20 years. Bernadette manages the valuation team and is employed as an administrator. Bernadette lives in Chadderton with her husband Craig, three children Catherine, Sean and Matthew, and dog Mia. In her spare time she enjoys walking, reading, cooking and shopping! Chris joined Conçerva as a Graduate Trainee Financial Planner in January 2013, having graduated from Newcastle University in July 2012. Chris left Newcastle with an Honours Degree in Economics and is keen to pursue a career linked with his interests in this field. Chris is currently studying towards his Certificate in Financial Planning and hopes to one day reach Chartered Financial Planner status. Chris lives near Wigan, where he can be found most Saturdays turning out for either Orrell RUFC or Wigan Bulldogs ARLFC, depending on the which rugby season he’s in. Should rugby ever be cancelled Chris enjoys visiting Abersoch where he can be found either on the beach or out on the water sailing. After graduating from University in 2011 with a First Class Honours Degree in Accounting & Finance, Liam spent several years at an IFA practice in Manchester, before joining Conçerva as a Paraplanner in July 2016. In his previous role, he provided paraplanning support to the firm’s advisers and fund research and analysis for the company’s investment propositions. Liam holds the Regulated Diploma in Financial Planning and is currently working towards gaining Chartered status with the Personal Finance Society. 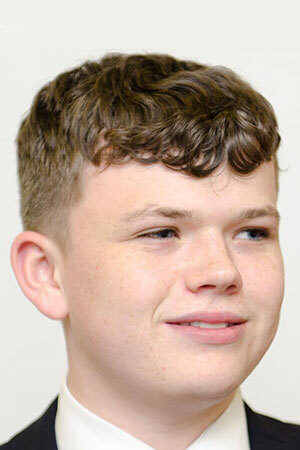 In his spare time, he enjoys watching various sports, mainly football and boxing, and is an avid Manchester United fan (as given away by the Scottish accent). He also plays for a weekly 6 a-side football team and enjoys managing his own (small) investment portfolio! Neil Neil is married to Robin and lives in Cheshire . Outside of work he enjoys sailing , cycling and is a keen car enthusiast . During his time with Conçerva, Adam has completed his Certificate in Regulated Financial Services Operations and is now working towards his Diploma in Regulated Financial Planning. After working in the Valuation team for nearly two years, Adam has joined the Paraplanning team where he hopes to gain to further knowledge and insights into the financial services industry. Outside of work Adam is a keen athlete regularly visiting the gym and attending Brazilian Jiu-Jitsu training sessions. He also enjoys unwinding on holiday either skiing or going to various music festivals around Europe. Lauren joined Conçerva as an Apprentice Financial Planner in October 2017, after attending Edge Hill university for 2 years achieving a Higher Educational Diploma in Mathematics. Lauren is keen to complete her studies and pursue a career in the Financial Planning Industry and hopes to one day become a Financial Planner.